Let me get this out there right away; I have never played an Assassins Creed game before. For some reason the past games in the series have never drawn me in. I have seen others play them and know the basics of the games, but I just never felt the urge to give them a go myself. That changed with Black Flag, which surprisingly looked very good to me. Something about the larger focus on freedom and its distance from previous games stood out to me in a way the other games didn’t. So with little hesitation I decided to put the franchise to the test and take to the open seas! Black Flag is a fun game, one I often spent hours just exploring in. The running and killing, follow and hide and find and kill your target objectives are all the same tasks from previous entries in the series, the difference being this time around you don’t start the game as an Assassin or a Templar. 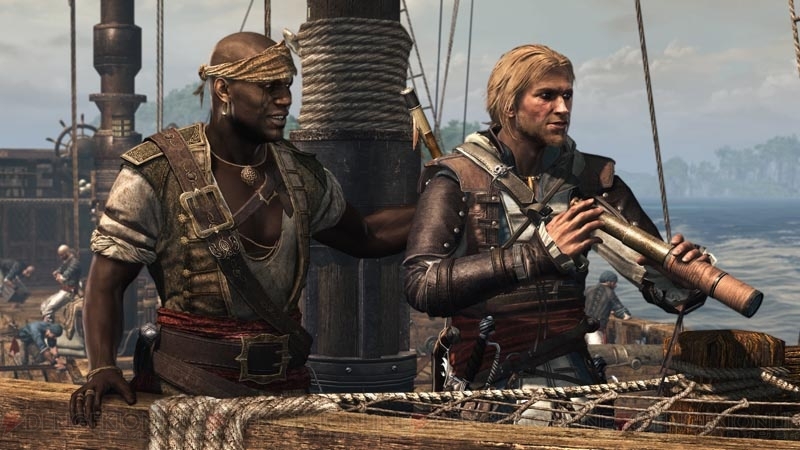 In Assassins Creed IV you play as Edward Kenway, a pirate at heart, so much so that he leaves his home behind to pursue a life on the open seas. Your only mission in life is to get rich and to be free. After only a few minutes into the game you come across your first Assassin and you then walk a mile in his shoes learning the life and secrets of the Assassin Templar conflict. The game has the same basic mission structure from previous games with the occasional Templar or Assassin contract thrown in. Templar missions are several objectives strung together by a short story that reward you with keys in which you can use to unlock a rare item. There are plenty of missions here and each, while being something you’ve done before, are still fun to playthrough. The storyline of Edward is simple, he is a pirate and he wants to get rich. The storyline of the game as a whole however is a bit different. Having never played previous entries for more than a few minutes it was a bit confusing to follow the larger conflict that is happening outside of the “Black Flag” campaign. Oftentimes I found myself asking my brother Chuck, who has played all of the previous games, who certain characters are and what exactly is going on in the world. Luckily the game doesn’t force too much of the “real” world drama onto the player but there are still a few times the game will force you to experience it. These few missions didn’t sit right with me and I feel they could have honestly been kept out all together. But for Assassins Creed veterans it may play out better. Edward as a character is very straight forward. Some may say that he’s ambitious but I see that as a way to keep player choice out of the game. There were a few instances where I was shocked at an event that had just occurred but you are still forced to just carry on with the story, in many cases completely ignoring the events previous. This method of progression is frustrating, especially to someone like me who wants to see more player choice in every game releasing nowadays. While Kenways personality does have a few more wrinkles than first appears, he is still a somewhat bland character to control. Presentation wise the graphics are good, the draw distance needs a bit of work but that can be explained by the idea that every city you explore is an instanced zone, so draw distance would eventually stop at the level walls. The tree’s, grass, buildings and characters all have enough graphical detail to give the game a great presence but they’re not pushing any boundaries. Sound design is fine too with some good music and decent voice acting, but nothing to really get excited about. Sailing is where Assassins Creed IV really comes to life. Your boat is a character all its own. Visually it looks like you’ve been taking pieces of wood and nailing them to the hull to fix it and nothing on your ship looks new. This effect can sometimes make your ship look ugly but it helps to give it character and you really start to remember those parts once the games over. The ocean looks awesome and sailing looks great but swimming however does not. The colors of the ocean, especially the emerald greens are beautiful to look at as the waves are crashing, and even seeing thunderstorms off in the distance before the heavy waves come in help give the game a special kind of feel. Jumping off of your ship to get something on a small island however takes you out of that special zone and makes you ask what in the hell were they thinking? Swimming is the same as previous games, with no ripples, diving or special effects added. This rehash clashes heavily with the outstanding boat physics and effects elsewhere. Another area that stops the flow of the game are certain platforming issues. Sometimes Kenway see’s an obstacle as a step, sometimes a cliff and it doesn’t seem to matter how small or big the platform is. I found myself jumping off of stone steps like they were cliff edges and vice versa. Other times you will find yourself climbing up walls you didn’t intend and losing progress on an enemy your chasing.These small issues should be fixed by this point as I know they have been in previous games in the series. Black Flag. overall, is a nice change of pace for the Assassins Creed franchise. It brings the same things you’ve loved (or hated) from the others in the series but adds a huge open ocean on top of it. You’re not stuck to just playing either one style of play either, you can spend most of your time on land, on the ocean, or play them both evenly if you want. 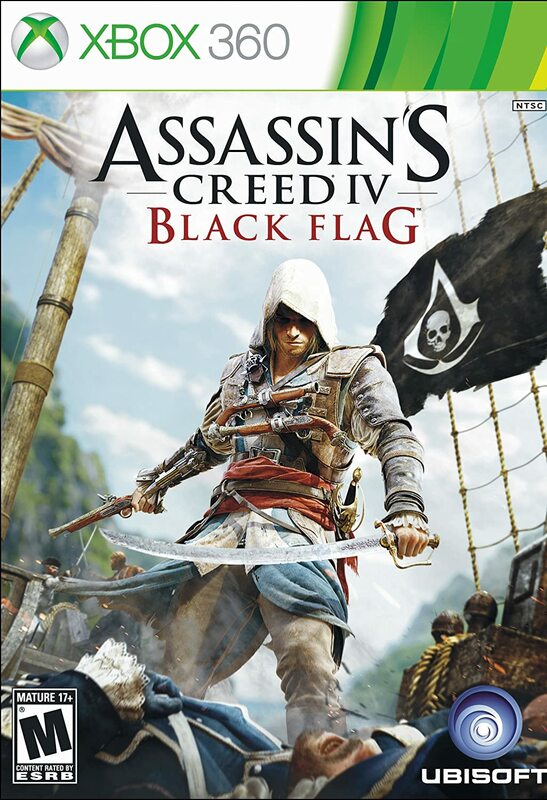 Assassins Creed IV: Black Flag is a great game and one worth your money. I will say again that I have never played an Assassins Creed game before and the combat, mechanics and feel of the game aren’t old news to me. Some may feel differently and may have found themselves bored with the series by the time AC3 arrived. To them I say that the freedom to sail and embark on naval combat may just be enough to get them back in.